Upgrade their experience with the right glass for a proper, pub-style beer. 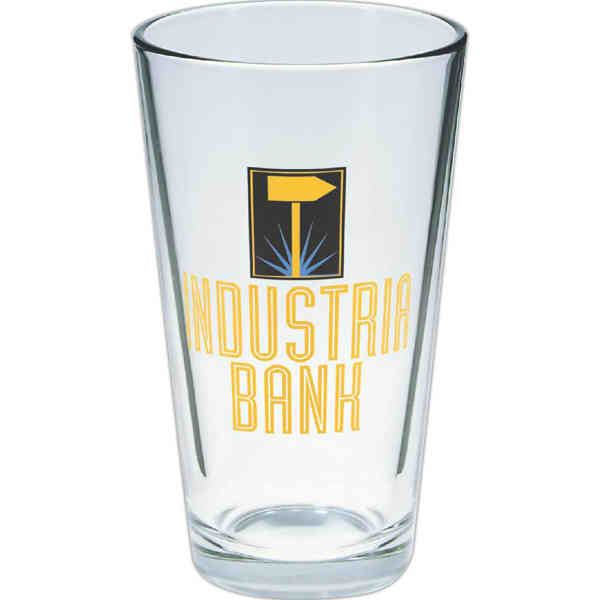 This pint glass measures 5 3/4"H x 3 1/2"D and features a 3" x 3" imprint area along with a 16 oz, size and vibrant spot color imprinting make this branded barman's friend one of our best-selling glasses. Put this versatile promotional option to work for you as an effective corporate gift or giveaway, or stock your bar or restaurant with branded glassware that you'll be proud to put in customers' hands. Order yours today! Ship Weight:25 lbs, Master Pack/ Dimensions/ Weight: 24 ct./24" x 18" x 12"/25 lbs.